Virtual Bookseller, LLC, 9781942608486, 312pp. Everyone deserves a second chance. After the death of his best friend in the Battle of Atlanta, Tanner Burnett walked away from the civil war. Now, ten years later, he runs with the Sam Bass gang, trying to escape the memories of the war. But when a stagecoach robbery goes bad, he rescues injured Elizabeth Anderson, wanting only to get her to a doctor and then rejoin his gang. But the injured beauty needs a nurse and Tanner is unprepared for the way Beth soothes his wounded heart and heals his spirit. 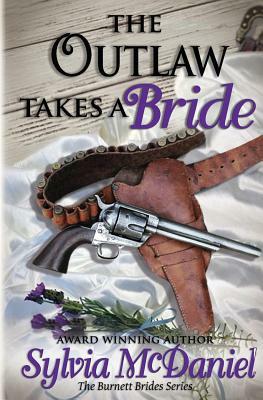 Until he takes her to Fort Worth, Texas and learns she's his brother's mail order bride.